Verona is one of Italy's loveliest towns, famous for its summer opera season. This has been a thriving and successful town for most of its history, and today smart shops and cafes fill the attractive medieval lanes of the historic centre. There's a lot to see here, from Roman ruins to the so-called 'Juliet's balcony', and the town is also well-connected for exploring the surrounding area, including destinations like Lake Garda. Verona was an important Roman town and is rich in archaeological sites. The Roman Arena, where concerts and operas are now performed in the summer, is the city's grandest sight, but you can spend a long time simply exploring the narrow streets lined with palazzi that make up the historic centre. The town's museums and churches contain fine works of art, while the ruined Teatro Romano over the river has excellent views from the terraces where the ancients watched plays. 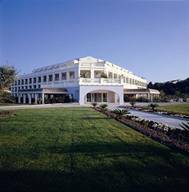 Located close to the shore of Lake Garda , the 4 star Palace Hotel features 85 well appointed guest rooms, a modern wellness centre and 2 swimming pools, one with panoramic views across the lake. Guestrooms at the Hotel Palace are modern, air conditioned and spacious. They feature satellite TV, a mini-bar and a terrace or balcony, some with stunning lake views and some with garden views. An American buffet breakfast is available and the bar serves drinks, snacks and light meals. The very well appointed Palace Spa includes a Turkish bath and Finnish sauna and offers a variety of beauty treatments and massages. The Palace Hotel is a 5-minute drive from the Sirmione exit of the A4 motorway, a 10-minute drive from both towns of Sirmione and Desenzano Del Garda. 14.15 Departure to Verona downtown meeting with English speaking guides and classical guided tour of the city centre, including entrances to two monuments. Dante Alighieri spent several years of his exile in Verona . His son, Pietro, came to love the beauty of the city and its countryside, and so decided to remain in the area, purchasing the Casal dei Ronchi in Gargagnago in the heart of the historic Valpolicella region in 1353. Twenty generations later, both house and estate still belong to Dante's direct descendants. 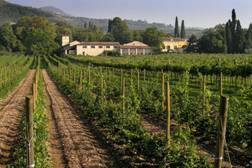 Today, the Villa stands surrounded by Valpolicella vineyards. The nearby Foresteria provides accommodation for guests and dedicated rooms for luncheons and tastings. It is one of the most famous (if not the most famous) Valpolicella cellar in the world. During the visit guests will find out about the origins of the family, the techniques of classical Valpolicella wine production through a walk across the villa's park, the drying chambers and the ageing cellar. A 3 course lunch combined with 3 wine tastings will be served in the Foresteria. The Romans built two castles, two harbours, a settlement and the gigantic villa. On the foundations of the old eastern harbour, the Scaligers later built their famous fortress. Numerous villas and churches, such as Santa Maria Maggiore's and San Pietro in Mavino's, wonderful frescoes, unique portals, belfries, battlements and arches are all to be found in abundance in Sirmione. 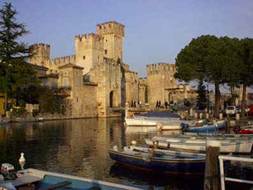 Sirmione, however, offers much more: spa and resort, spiritual and cultural centre, gastronomy, wine, markets and fashion shops and the International Academy for Literature. 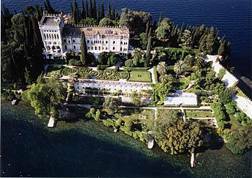 Isola del Garda is a place of rare beauty, bursting with history, memories and legends. There is no doubt the Island was inhabited in early roman times, it was used as a monastery, owned by Napoleon. It then fell into the hands of the state and then passed through several owners. The present owner is the Borghese Cavazza family and from May to September the family opens its treasures for guided tours. The tour lasts approximately 2 hours through untouched nature in English and Italian gardens and a few rooms of the impressive early 20th century neo-Gothic-Venetian Villa. The visit includes the sampling of local products such as wines, cheeses, salamis, pizzette, dry snacks, olives and a taste of the oils produced by the family of the island. There will be a coach transfer from the Palace Hotel to Verona Airport.